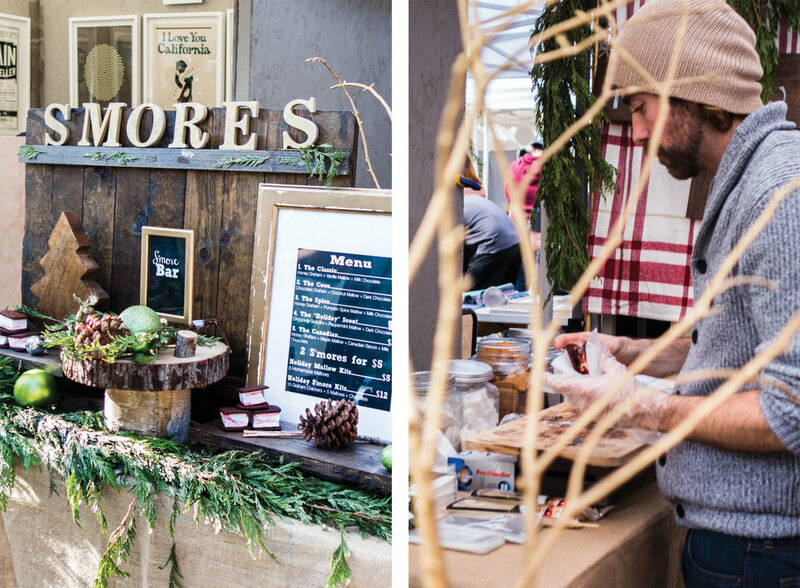 The Renegade Craft Fair is a series of pop-up market places for handcrafted goods. It's a curated event with quality products such as stationery, jewelry, ceramics, and woodwork (just to name a few). I was fortunate to catch the last Renegade event of the year in Los Angeles, CA. I had a great time people watching, buying some gifts, and finding inspiration for design, crafts, and entrepreneurship in the heart of downtown. I drove down with Kim to Grand Park where we walked, shopped, and talked over a Brazilian latte and an overpriced peppermint smore. (hipster alert). Not gonna lie, it can get a bit pricey but it's neat finding one-of-a-kind gems while supporting small businesses. I'm encouraged by all the designers, craftsmen (& women), makers, and doers who have taken risks to start their own businesses to do what they love. Their passion and unique personalities are evident in their work and that's what makes spending that extra money worth it. So why is it called Renegade? A renegade is defined as "a person who deserts and betrays an organization, country, or set of principles." In this case, renegades say ✌ to the traditional 9-5 work ethos and they live to build out their own creative dreams instead of working day in and day out for someone else's. Okay, so I'm generalizing. I don't actually know all these vendors and I'm sure there are some who still work 40 hour work weeks while continuing to pursue their craft. But to my point... renegades are hard working innovators who are willing to put in the work for something beautiful and awesome. They dare to take crazy risks to make their visions come to life.